Development Center for Youth signed the Memorandum of understanding with the Institute for Youth Development KULT from BiH. Signatures were set up for further joint activities aimed at strengthening cooperation and preparing joint project proposals. Main goal is to improve the position of young people in the society. It is also important to encourage young people to participate in the local and national decision-making processes. Development Center for Youth and KULT have already successfully implemented a joint project “Active Youth: Step Ahed to Joint Changes”, with the support of the European Youth Foundation of the Council of Europe. “We hope this is only the first one in a series of successful activities. 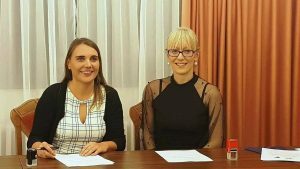 All other joint steps will be considered during the action planning for 2019, which is being realized at the moment on mountain Zlatibor by our two organizations, but also with other partners”, said the program director of Development Center for Youth Aleksandra Knežević. 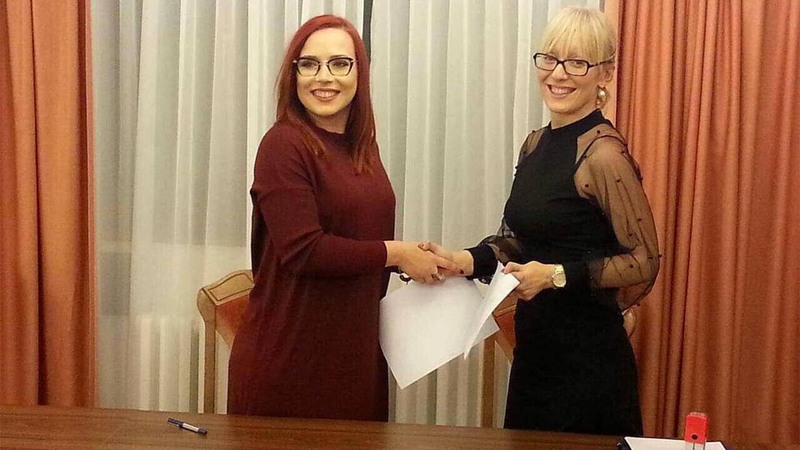 Subsequently, our organization has signed a Memorandum of Understanding with the Montenegrin Organization for Youth Independence and Mobility, presented by its president Andrijana Radović, who also took a part in above mentioned project of regional character.